If you are one of those who live in a warrn climate then more often than not you may find your container home getting very hot. If you are wondering How Do I Keep My Container Home Cool? Then we have some of the effective ways. Well you can always install an air conditioning, but if you want a cheaper option then here are some of the tips which you can use to cool down your container home. Some of the steps might require a bit hard work where as other are something which can be very easily applied. Foam can be very effective insulation for just about anything. If you have the budget then using the spray foam insulation can make sure that you can get a seamless vapor barrier of insulation. Foam can also prevent you container from getting corrosion or mold. The best thing about spray foam is that it's very flexible which means that every gap can be covered by it Spray foam is also one of the quickest ways to get insulated. There is only one problem with spray foam which is the expense, it's probably one of the most expensive item in our list and fitting it can also turn out to be a lot messier. If you are still going ahead then selecting DOW Forth Pak 60 would be an ideal choice. This is a two part mixture with every inch of the foam will provide you with the R rating of 7.5(R rating is used to calculate the insulating factor of the material). If you are not looking to buy a industrial foam then you can always opt for hand operated foam like Dow Great Stuff. Whichever brand of foam you get, just make sure that it's completely covered by polyurethane foam. 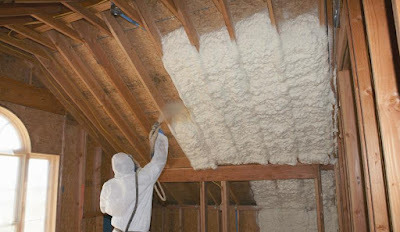 To get maximum insulation you can apply spray foam from both the sides of your container. Foam can also be installed under the container to make sure that there is no moisture lost. If you are one of those who want to decorate you container externally then after installation of spray you can color it and add to the looks. This is one of the cheapest option and DIY friendly technique which can be used as a protection against heat. To successfully carry out this technique you will require stud walls for placing the insulation, but once you have the stud walls you need to make sure that all the gaps are filled to ensure that you get the best possible results. As a insulator mineral is probably the best thing that can be applied. The prime reason for most to select container as a home is to get a environmentally friendly alternative. For all of those who believe in this the best option for getting your house insulated is using some of the eco friendly alternatives. Some of the most effective eco friendly alternative those are available are using materials like, mud, cotton, wool or even applying a living roof. Cotton is a type of blanket insulation and for this purpose used cotton clothes are used Advantage with cotton is that it's natural, easily renewable and can be grown very quickly. The obvious problem with cotton is that it will require double the cost as required by fiberglass insulation. Wool, just like cotton is also the blanket insulation. Here cotton is replaced by wool which is considered as even better insulating material. Cost is again something which should be considered before selecting this medium. Mud is one of the best cheapest, eco friendly alternatives which can be applied to insulate your container. In ancient times, mud was used to build entire houses. Mud can be an alternative which can be considered in the hot and dry climates to keep the heat out from your containers. This is one a very ancient methods which is widely followed in the northern part of India where almost all the homes are cladded with mud. 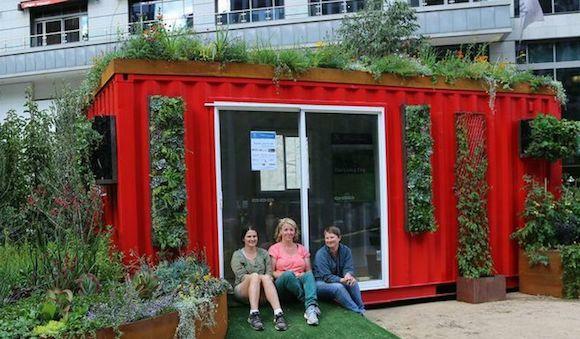 The best part about shipping containers is that mud can be applied on the roof very effectively. If you want to externally apply mud then it's very essential that you use battens which will let the must stick to the containers. Getting a living roof may not be the direct replacement to any other insulation, but can be extremely useful if applied with any other method, especially during summers. This is not the method that can be applied in the rainy seasons as all the mud might get washed out by rain. But during summers the temperature is reduced by almost 8 percent. This is probably one of the most effective ways to protect your container from extreme temperature. Designing the container properly can give you the much needed cooling from high temperatures. The best thing which can be done to your house is apply sloping roof. Sloped roof are effective in two ways: one it can provide the much needed inflow of air that can be very effective in reducing the temperature. It will also allow the hot air to climb up to the roof and then out of the container. By using above methods you can be assured to get the best insulation for you container homes. They can keep you house cool and protect you from the extreme heat.